Located 2 miles from the Washingtonian Center, this DC area hotel is 5 miles from King Farm Village Center and the Rockville Town Center. Very close to the capitol building and the National Mall, the rooms are spacious and relaxing an excelent experience overal. The location of the property is ideal for easy walking access to the historic places we wanted to visit. The valet services, restaurant and Starbucks(on the premises) were convenient and very customer-focused! Also, the housekeeping services were excellent, which is always a priority when we travel! Thank you for a wonderful family experience! Where to find Rockville hotels near an airport? 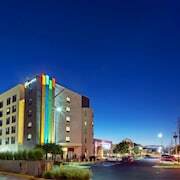 Where can I find hotels in Rockville that are near tourist attractions? 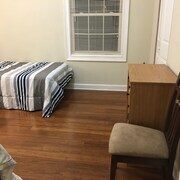 You will find yourself spoiled for choice when it comes to booking great lodgings in Rockville. Spend some time checking out our 31 hotel listings, all of which can be found within a 0.1-kilometre (0.06-mile) radius of Rockville's center. Travelers searching for a place to drop their bags close to the action of central Rockville won't find too many options other than the popular Cambria hotel & suites Rockville. For those looking for economical hotel options, you could try the Best Western Plus Rockville Hotel & Suites, Sleep Inn Shady Grove and Red Roof Inn PLUS+ Washington DC - Rockville. The Four Seasons Hotel Washington D.C. can be found 20 kilometres (13 miles) from downtown Rockville. Or, alternatively, the Rosewood Washington, D.C. can be found 20 kilometres (13 miles) away. The The Ritz-Carlton Georgetown, Washington, D.C. and also the The Jefferson, Washington, DC are some other Expedia-listed hotels around Rockville. If you have time left, you should travel further in the Central Maryland region. Central Maryland is known for coastal plains, and commonly visited Central Maryland tourist destinations include street art. Visitors in this part of United States of America enjoy shore fishing, sailing and boating. 13 kilometres (8 miles) from Rockville is Gaithersburg, where you can spend a little time at the Shops at Wisconsin Place. Chevy Chase Expedia-listed lodgings include the Embassy Suites Washington D.C. Chevy Chase Pavillion and Residence Inn by Marriott Bethesda Downtown. While exploring this region, you can also visit Gaithersburg, where you'll find the Lake Forest Mall. Gaithersburg is located 7 kilometres (4 miles) to the northwest of Rockville. The Residence Inn by Marriott Gaithersburg Washingtonian Center and Gaithersburg Marriott Washingtonian Center are comfortable places to lay your head. Get your fix of local sport by making a journey to Nationals Park, which is 25 kilometres (17 miles) to the southeast of Rockville. 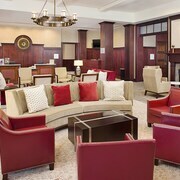 Book accommodation near the action at the Marriott Marquis Washington, DC or the The Hay-Adams. For those travelers planning on arriving or departing through Ronald Reagan Washington National Airport, you may plan to book a bed at Mandarin Oriental, Washington D.C., or Residence Inn Washington, DC /Capitol, both of which are a short ride away. 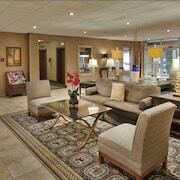 What are the most popular Rockville hotels? 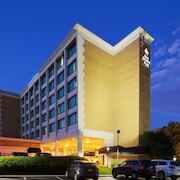 Are there hotels in other cities near Rockville? 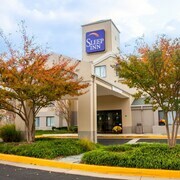 What other types of accommodations are available in Rockville? Explore Rockville with Expedia.ca’s Travel Guides to find the best flights, cars, holiday packages and more!